Your building supply company has very specific needs from an accounting software; like fast entry for products that come in variable lengths, custom trim design software that is intuitive and can calculate prices, easy tracking of the assembly of products, automated exporting to roll-former controllers, integrated dispatching, and much more. These are all needs that Paragon Computing Solutions has met with Paradigm Accounting, Production, and Deliver Me; as well as web services. Is your current software solution decreasing the efficiency of order entry, pricing calculations, purchasing, or other necessary functions of your business? 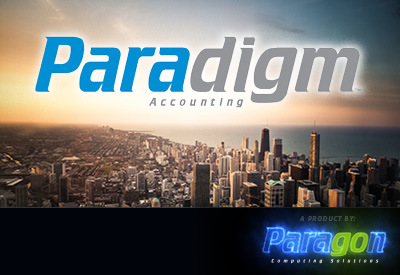 Paradigm Accounting has been developed by and for companies in the building supply and light metal manufacturing business and can dramatically improve your turnaround time from receiving an order to having that order produced. Quickly and easily enter products that need to have custom lengths defined (like roofing panels, trims, and flat-sheets), seamlessly transition from a quote to an order, and draw custom trim profiles that will automatically calculate the price for that trim based on the parts that go into it. Import customer orders from external design programs, quickly create purchase orders for special ordered products and much more. Use this system that is designed around the idea that data should be entered only one time and watch your efficiency skyrocket.